With the Standard version of the PRO1 series, you have a very user-friendly meter which is compatible with most installations. The Standard-version is easy to connect, easy programmable and easy to navigate by using just one button. The PRO1-S has a selectable S0 output and can communicate and be programmed via an infra-red input. The meter is equipped with a resettable day counter and the total energy usage can be calculated via 5 different modes. The PRO1 Standard comes with great quality and a 5 year guaranteed warranty. This 2-Tariff version of the PRO1 is the perfect solution for measuring the energy usage of different tariffs at different times. 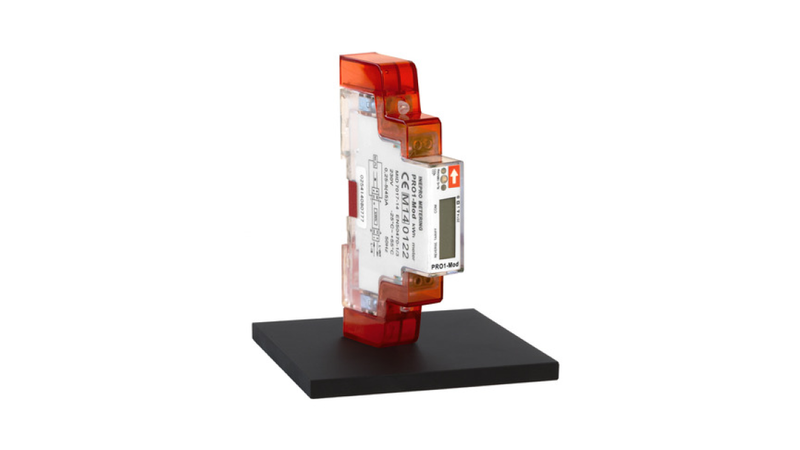 The PRO1-2T is a compact high quality single phase meter with the same qualities as the Standard-series. As an addition to ease of use the PRO1 2-T can switch between two tariffs which can be controlled and managed by an external device. With similar features as the PRO1 Standard, the PRO1 Modbus offers a built in Modbus (RS-485) communication interface. The PRO1-Mod can communicate and be programmed via Modbus. Its compact size and the possibility to read out over 40 variables make that the PRO1-Mod is very popular and widely used in electric vehicle (EV) chargers, photovoltaic systems and building automation. If you are looking for the complete metering solution please visit www.ineprometering.online. With our GSM modules and online platform you can access the Modbus data of your PRO1-Mod anywhere at any time. When you are looking for a very cost effective meter which makes remote reading possible, the PRO1 M-Bus is the best choice. This meter is equipped with the European standard M-Bus protocol. The PRO1-Mb can be integrated in any M-bus installation in combination with all kinds of gas, water and other electricity meters. PRO Flex MID "incable meter"